Pope Francis has designated February 8, the feast of St Josephine Bakhita, as the World Day of Prayer, Reflection and Action Against Human Trafficking following a request from Talitha Kum, the worldwide Network of Consecrated Life Against Human Trafficking. Josephine Bakhita was born in Southern Sudan in 1869, and during her life experienced kidnapping and slavery in both Sudan and Italy. 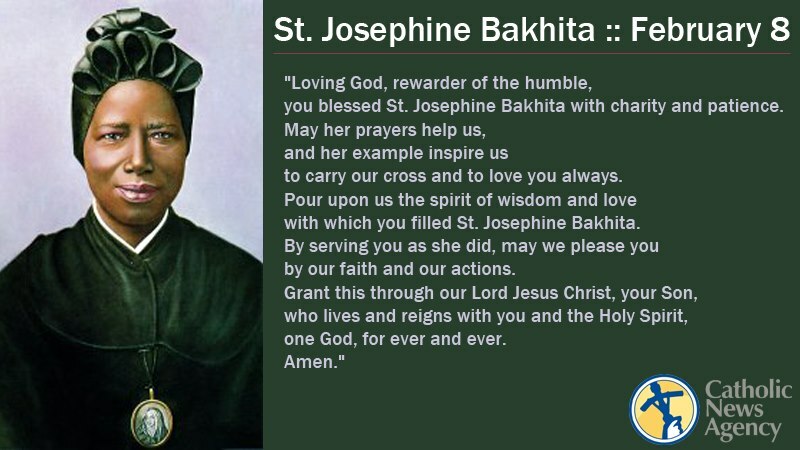 After gaining her freedom Josephine Bakhita dedicated her life to sharing her story and to supporting the poor and suffering. She eventually became a Canossian Sister and was canonised in 2000.